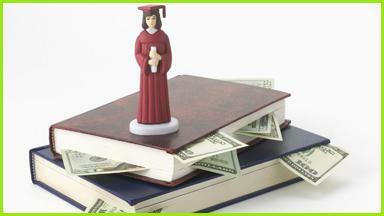 From a money perspective, furthering your education is a sound investment. According to PayScale.com’s 2014 College ROI Report, a 4-yr college degree at a Pennsylvania public university provided up to an 8% rate of return on the cost of education. However, the average cost for an undergraduate, full time student at a Pennsylvania State System of Higher Education school for the 2014-15 academic year is $18,849? For private schools, it’s even higher. So how can you meet the high cost of higher education? First, consider ways to reduce expenses. EducationPlanner.org suggests such cost reduction measures as starting at a community college, comparing housing options and meal plans, buy used textbooks, leave your car at home, and graduate on-time. For most students, it takes a combination of these resources to pay for college. Keep in mind that some of these resources need not be paid back, such as scholarships and grants! The key is to maximize all that don’t need to be repaid and minimize those that will eat into your future income. Click on the highlighted topics to learn more.